The results show Xiaomi is weathering fairly well a slowing Chinese smartphone market, the world's biggest, by increasing its focus on markets such as India and Europe. To compensate for its slowing home market, the company has aggressively expanded in Europe. After broadly rolling out in the continent in early 2018, the company now ranks as the region's fourth-largest phone vendor. Speaking on a call with reporters, Xiaomi CFO Shou Zi Chew said that sales from outside of China made up 40 percent of the company's revenue in the fourth quarter of 2018, adding that global expansion would be a priority for 2019. Xiaomi has also revamped its smartphone lineup, paving the way to sell more expensive devices that can raise profit margins. In China, the average selling price of the company's phones increased 17 percent, while overseas they increased 10 percent, according to the company's earnings report. In February, upon the launch of Xiaomi's new flagship Mi 9 phone, founder Lei Jun said the device would be the company's last such handset priced at under 3,000 yuan ($446.99). 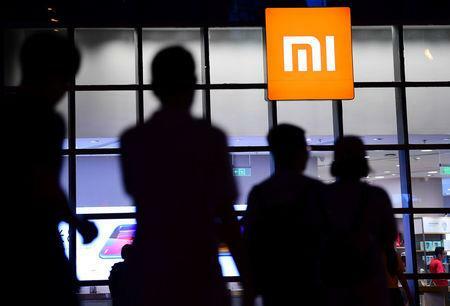 Sales from smartphones made up 65.1 percent of Xiaomi's overall revenue in the fourth quarter. Money from other hardware made up 25.1 percent while internet services made up 9.1 percent. The latter segment was pivotal to Xiaomi's pitch to investors in the run-up to its IPO. The company touted its so-called "triathlon business model", wherein consumers who purchase smartphones go on to use apps and services that generate revenue via advertisements or micropayments.